Business man with AMD furnishings. For those who prefer AMD processors and are looking for a reserved yet elegantly designed device for the workplace, HP has something to offer - namely the ProBook 4545s. HP wants the 15.6-inch device with an integrated Radeon graphics card, Windows 8 Pro and good speakers to gain points for home use as well. In the past few years we've heard a lot of unpleasant news about HP: First the manufacturer wanted to completely stop producing PCs, then they back paddled, then they went through a series of CEOs... But most corporate clients stayed true to HP and continued to use their products. HPs strength in the server business certainly rubbed off on their work devices for employees and managers as well. The HP ProBook 4545s is a low-priced device for everyday business use that is offered for down to about 430 Euros (~$570). For a fingerprint sensor you'll have to pay about 500 Euros (~$665). Aside from the decision for or against the fingerprint sensor there aren't many configuration possibilities. The device doesn't possess a port for a docking station, so you can only work with universal docking stations. Those who prefer an Intel processor can take a look at the model termed the HP ProBook 4540s - these two are closely related and hardly differ besides the choice of processor. For less than 500 Euros (~$665) HP offers a very solid casing. On the lid, the palm rest and the speaker grilles there's even real aluminum. The frame of the monitor, the top and bottom casing and the maintenance hatch are made of plastic. The case takes pressure well, and the monitor cover is so stable that even under force the display shows no shifts in color. The palm rest and the keyboard are also amazingly stable in their manufacturing and barely yield to force. As is true for many devices, there is a small area of weakness above the optical drive: In the area of the number block the keyboard does give a bit under strong pressure, but for everyday use this is a negligible finding. Silver-gray and black are the two predominant colors, and they are maintained all throughout the case of the notebook. They leave the HP ProBook 4545s looking elegant and simple, which is the perfect match for a business suit. 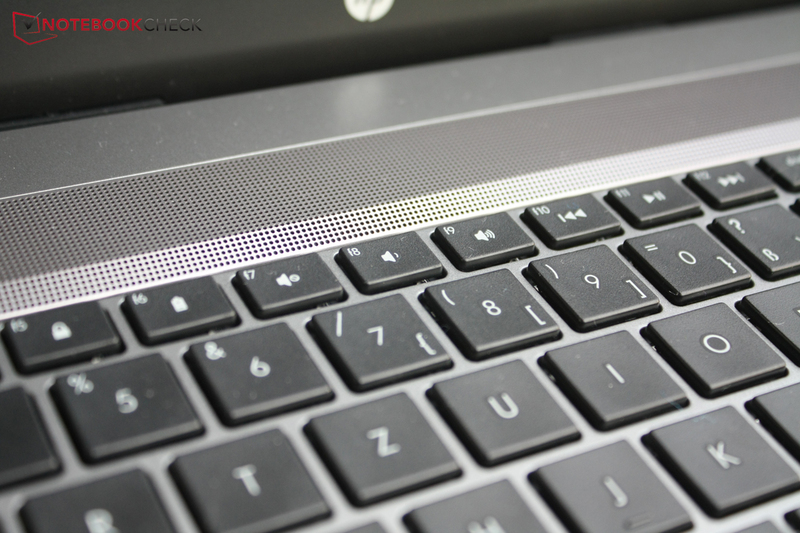 HP creates little highlights with the aluminum surfaces, the rounded corners, the attractively designed speaker grilles reaching all the way to the keyboard, and the milled "ProBook" lettering in the palm rest. A bit of a downer: When the computer lacks a fingerprint sensor, in its place there is a conspicuous plastic cap in the aluminum palm rest. All in all this is a very appealing and simple design that should please many users without driving anyone away. Those who wish to stand out with their notebooks, however, should look for a different device. At 2500 grams (~5.5 pounds) the HP ProBook 4545s is quite light for a 15.6-inch notebook, though the power supply adds another 404 grams (~0.9 pounds). It can definitely be taken along on business trips here and there, though devices from Asus and Lenovo show that it's possible to go even a few grams lighter - and even HP itself manages that with its HP Compaq Presario CQ58-148SG. Those who would like to run around with even less weight and are ready to invest a little more should take a look at current ultrabooks, like the Dell XPS 13 or the ThinkPad T430u. 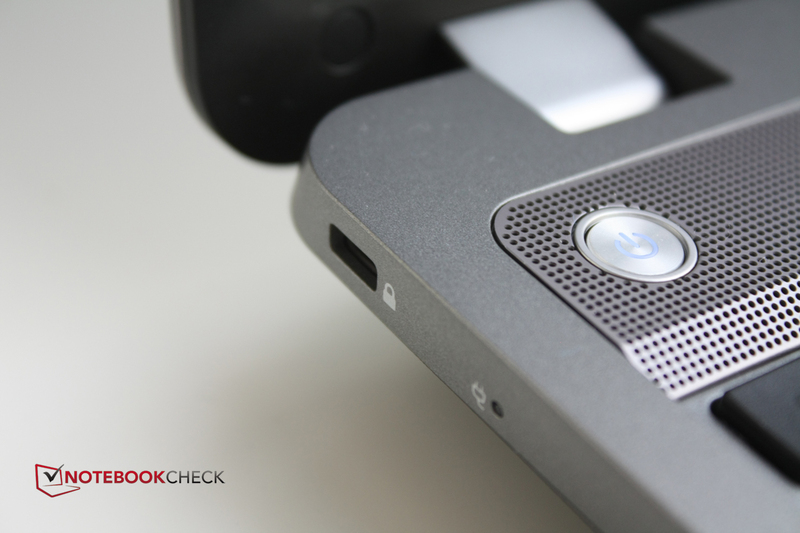 Due to the fact that the HP ProBook 4545s possesses no connection for a docking station, the connectivity options need to be respectable, otherwise it won't be suited to the everyday office environment. The first thing you notice is the inconvenient placement of the ports: Because the display tilts a little over the backside of the notebook when opened, no connections are built there. Because the DVD burner is located on the right side in the back, and the power connection is located in the same area on the left, the USB, network and monitor connections are forced to slide forward. This could be an annoyance especially for lefties in the office or at a home desk if you want to connect an external monitor: Both the HDMI and the VGA ports are located rather far towards the front, and the cables greatly hinder the use of a mouse in this area. On the left side you'll also find the network connection, and far towards the front two USB 3.0 ports. 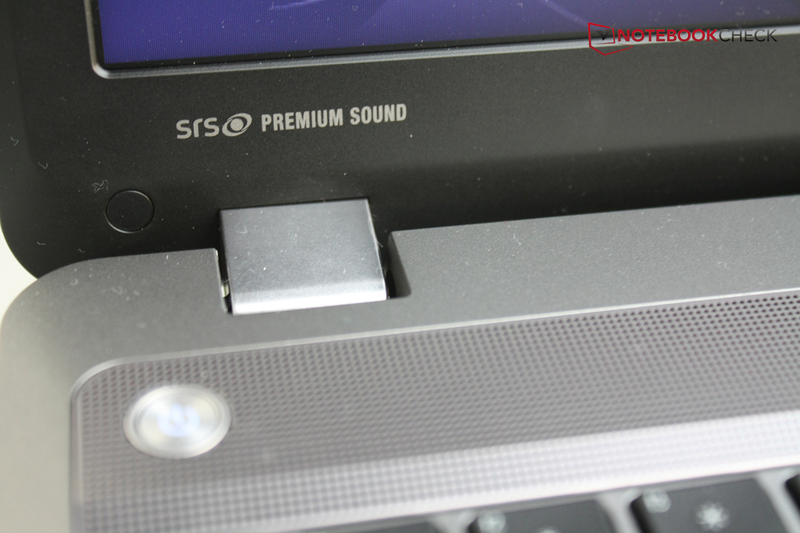 On the right side, aside from the aforementioned DVD burner, you'll also find two USB 2.0 ports near the front edge. The front side houses an LED for hard drive activity on the left and next to it a card reader that accepts SD and multimedia cards, like Memory Sticks and Memory Sticks Pro. Both a 3.5 mm headphone and microphone jack follow. 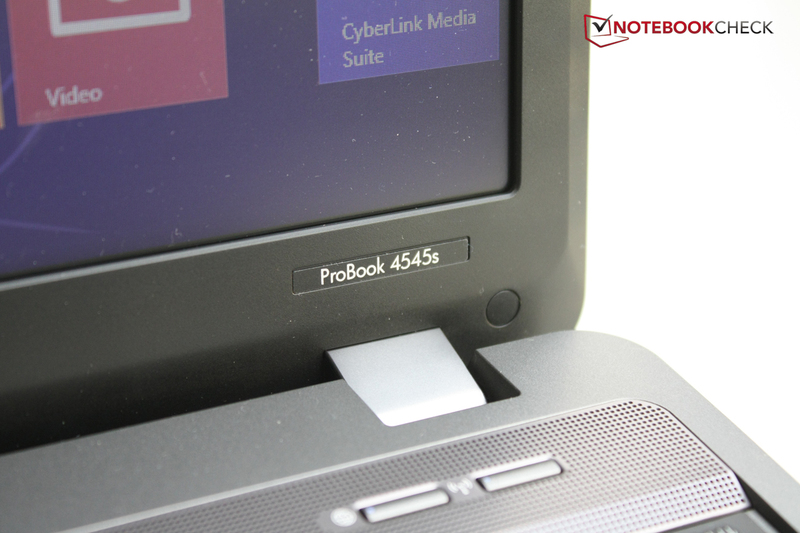 The notebook can connect with the Internet and/or other devices via Gigabit LAN, WLAN standard 802.11 b/g/n or Bluetooth 4.0. Very good: Even at a distance of 10 meters (~33 feet) and through several walls, the WLAN module still reaches 4 to 5 possible bars in Windows' WLAN display. In energy-saving mode the reception quality still remains high. 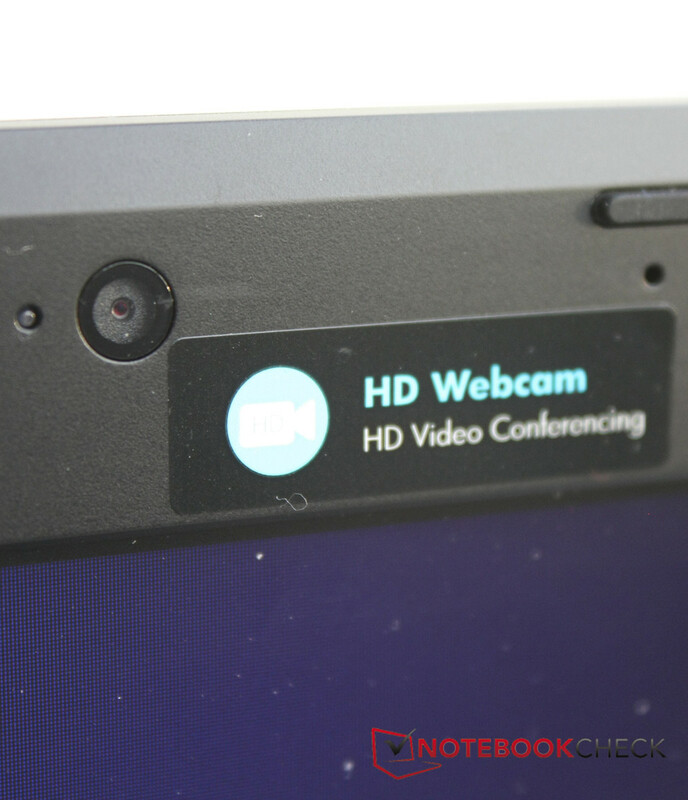 The built-in webcam with 0.9 megapixels tends towards overexposure and fuzzy edges; but for video conferences, which are likely the main use for the webcam, it should be sufficient. Aside from the Kensington Lock connection, which has become standard for all devices, HP offers with its Security Suite mostly software-based security measures, like face-recognition through the webcam and hard drive encryption. The water-repellent keyboard with a run-off ramp protects the computer from moisture damage. Additionally, as mentioned, a built-in fingerprint sensor is available, though it is not present on our device. 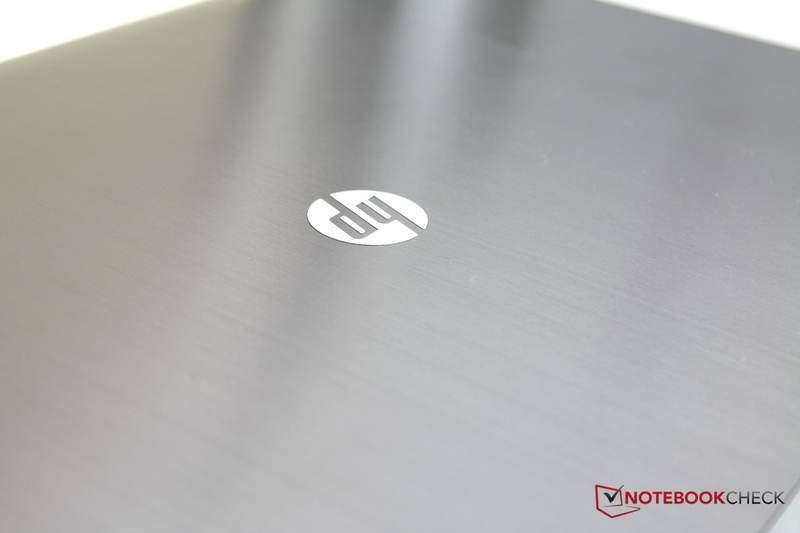 Here HP has little to offer - in the simple box you'll only find the notebook, the power supply and a quick guide, as well as an overview of the accessories available for purchase. But it isn't all that common for business notebooks to come with many accessories, since these are generally unpacked by the system administrator and not the end-user. There is neither a resource DVD for the operating system nor for the pre-installed programs - all of this is found on a recovery partition on the hard drive, which limits the storage space: Effectively only 450 GB of storage space is available for the user. The most interesting software included by HP for the business arena is surely the HP Client Security Suite, with which you can protect your notebook using face-recognition, hard drive encryption, passwords and other security features. 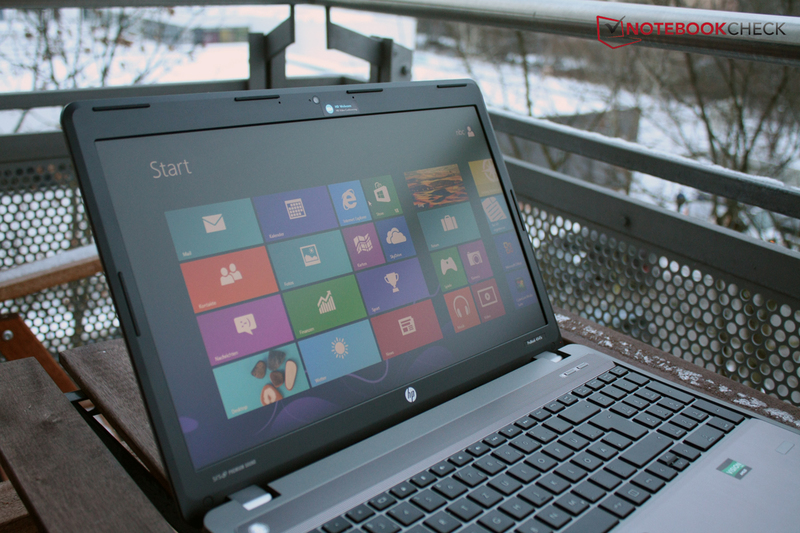 For entertainment after work HP includes the CyberLink Media Suite, which looks nice, but in the end it offers few new features compared with Windows' built-in playback options. All in all, HP doesn't overload the laptop with too much unnecessary software, though anyone who chooses to uninstall everything besides the HP Client Security won't be missing anything of great import. Both companies and private users receive a 12-month warranty. Of course the legal warranty period of 24 months for problems that were already present at the time of purchase is valid. Warranty extensions to 3 years are available for 120 to 280 Euros (~$160 to $372), depending on the range of services. Considering the device's low price, in our opinion that extension would only be worthwhile in very limited circumstances. 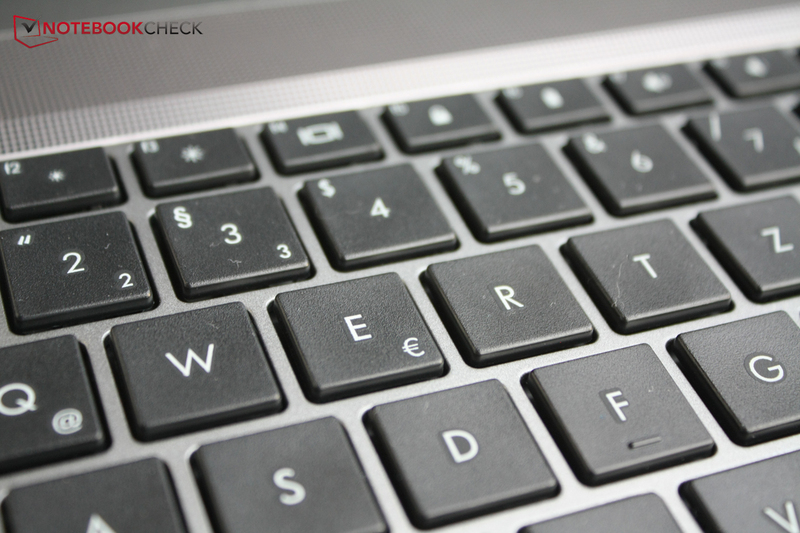 Sophisticated chiclet keys adorn the HP ProBook 4545s. The keys are large and have enough distance between them to render typing accidents very unlikely. The keyboard gives very direct feedback, and though it may feel a bit like the keys need hard strokes for some tastes, it has a good pressure point and appears to be very stable and high-quality. HP also built a complete number block into the ProBook 4545s. 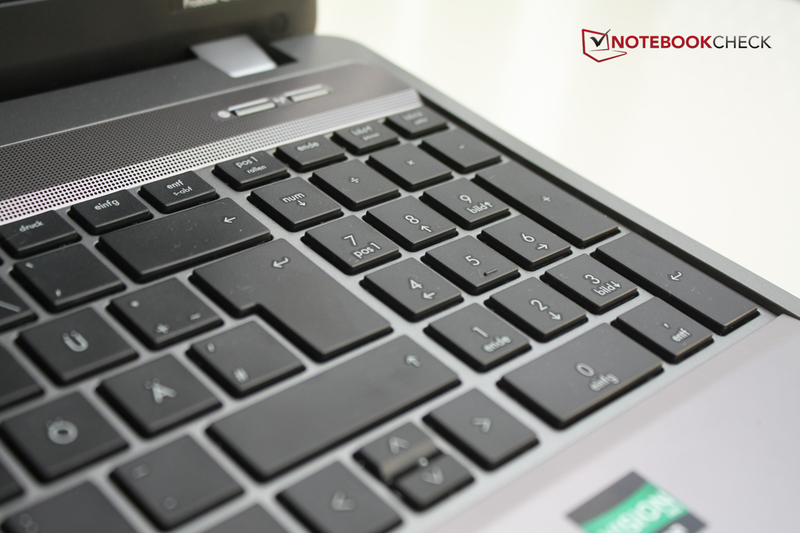 As is true of most notebooks, with the help of the "Fn" key the function keys F1-F12 assume the roles of volume control, multimedia keys, brightness settings and display changes. The layout of the keys leaves it all clear: Everything is located where one would suppose it to be. In the speaker cover there are yet two more keys, with which you can bring up the Internet browser and activate/deactivate airplane mode. 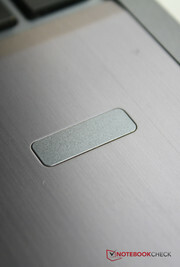 As per usual with HP, the touchpad can be deactivated with a double touch on the top left corner of the pad. That is practical, although an orange LED constantly glows when the touchpad is set to off, which in dark environments could really bother some users. 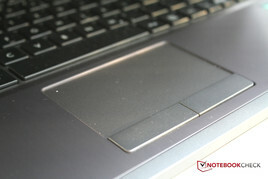 As is important for Windows 8, the touchpad understands multi-touch gestures. 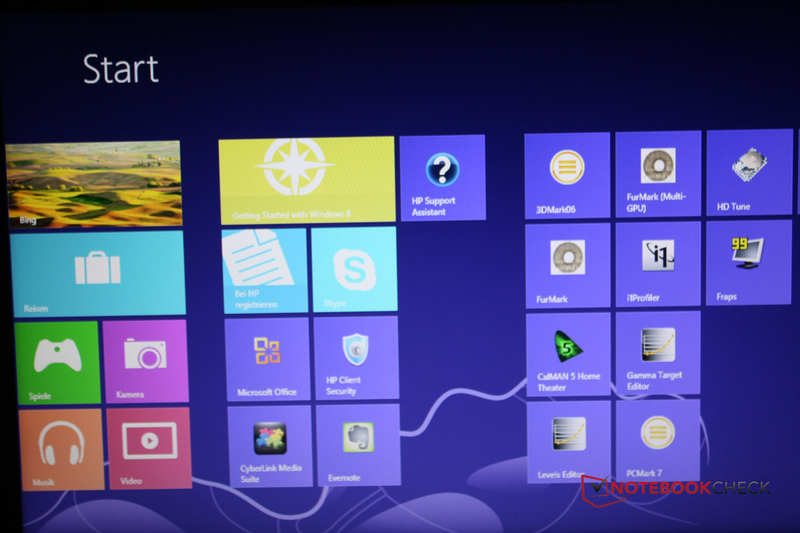 For example, you can use two fingers on the touchpad to enlarge or shrink Windows 8's user interface as well as to scroll. The feedback from the touchpad's keys is a little too soft for our taste, but they react reliably and have a clearly defined pressure point. All in all the surface is a little too stiff, especially for those who like to use a little more pressure with their fingers. But besides that, it's very easy to work well with the touchpad. The display, with a resolution of 1366x768 pixels and a measurement of 15.6 inches, is unfortunately not a highlight of the device. Like most office devices, it does have a matte surface so that you can use it in the sunshine, but the maximum brightness level is below average, and shifts in brightness come into play very quickly when you change the monitor's angle of vision. In addition, the illumination level isn't very consistent, and the maximum brightness sinks even further in battery mode. But in all fairness we have to say that truly good monitors are extremely hard to come by in this price class: In the list of the top 40 devices with matte and high-rated display screens, not a single device under 1000 Euros (~$1330) makes an appearance. (To see for yourself, simply go to our Purchase Consultation and choose "The screen of the laptop should be of a high quality"). Of course the display is sufficient for everyday work, but those who demand more of their display and work with a lot of graphics should look for a different device and be prepared to spend more money. 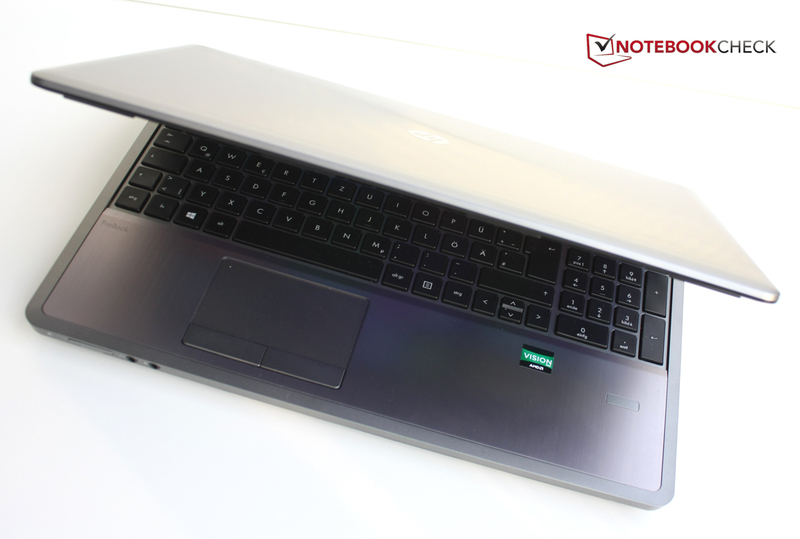 The color space that the HP ProBook 4545s can cover is also sufficient for everyday office use. The comparison of the ICC profile with the Adobe RGB color space shows, however, that you have to draw a thick red line through the idea of using the device for professional image or video editing: The monitor is far from capable of reaching the necessary breadth of color. In this price class, it is entirely unsurprising that the display isn't suitable for professional work with imaging. Due to the unreflective surface of the display, it would be well-suited to outdoor use, but the brightness level even while plugged in is barely sufficient to work in a truly bright environment. Since the brightness drops even further to 134 cd/m² in battery mode, the display leaves the device essentially unsuitable for outdoor use. 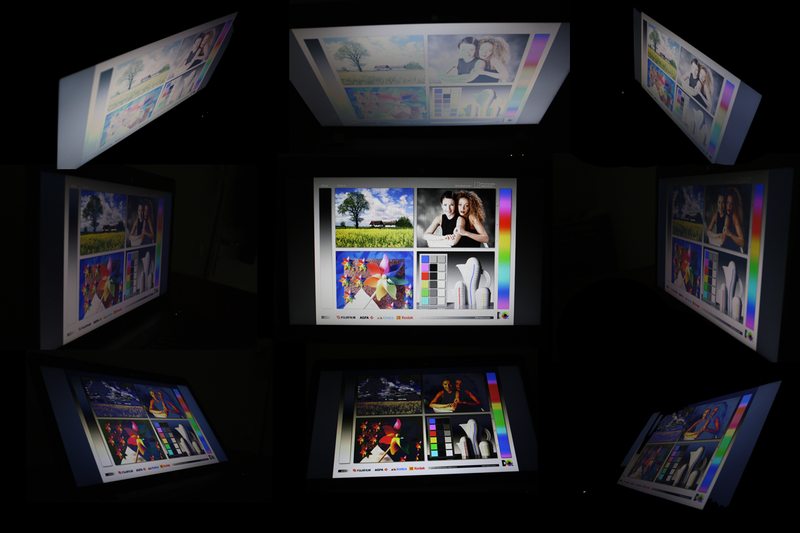 As you can see from our photo montage of the HP ProBook 4545s' angles of vision, angle stability is no strength of the display: As soon as you move the angle of the screen up or down, the colors shift either towards white, if you look at the screen from above, or towards black, if you observe the screen from below. This is inconvenient if you want to show something on the screen to someone in a different sitting position. Side-to-side the angles of vision are somewhat better: The colors don't shift quite as quickly here as in the vertical. 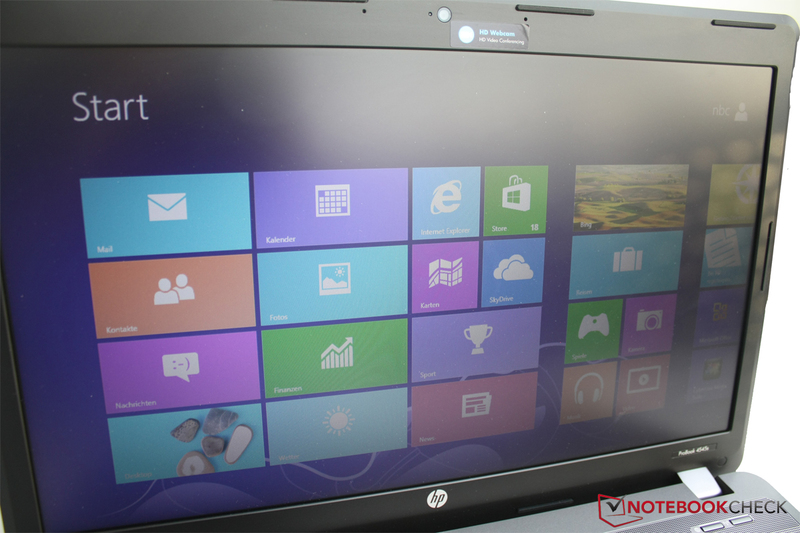 The HP ProBook 4545s is equipped with an entry-level chip from AMD that contains both the CPU and the graphics card. With this chip, HP is aiming for users looking for a notebook both fast enough for office work and capable of running a film or an undemanding game to wind down in the evening. The HP ProBook 4545s doesn't have much in the way of performance-power reserves, but it usually runs all the standard activities, like word processing, simple image processing or web surfing both quickly and without delays. 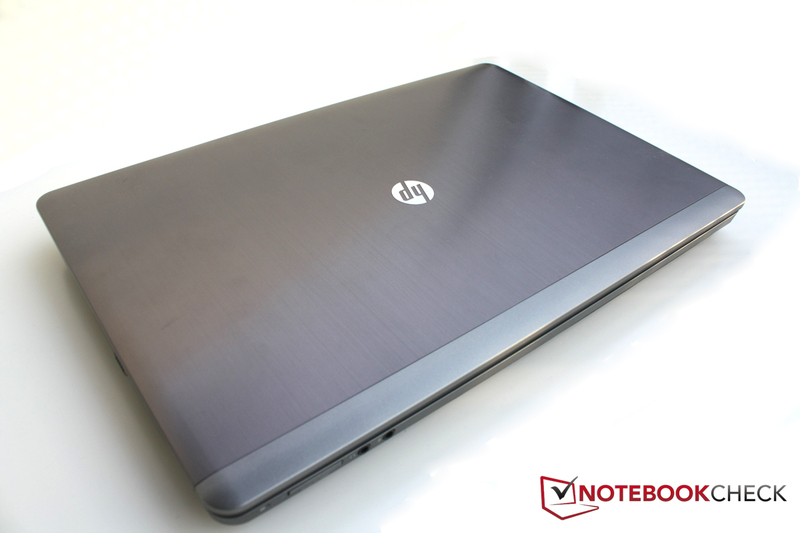 The HP ProBook 4545s is our first review device with AMD's A4-4300M-Processor, which has a clocking speed of 2.5 to 3 MHz. 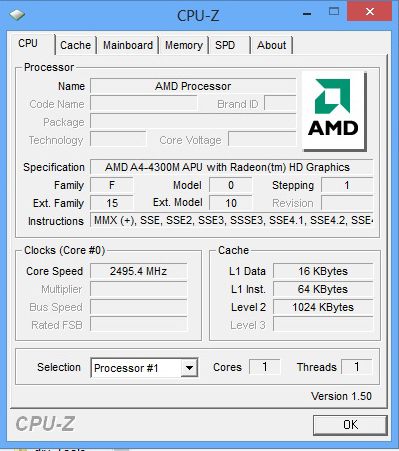 If you compare the results from the Cinebench benchmarks with a current Intel Core i3 processor, the A4-4300M is the clear loser. 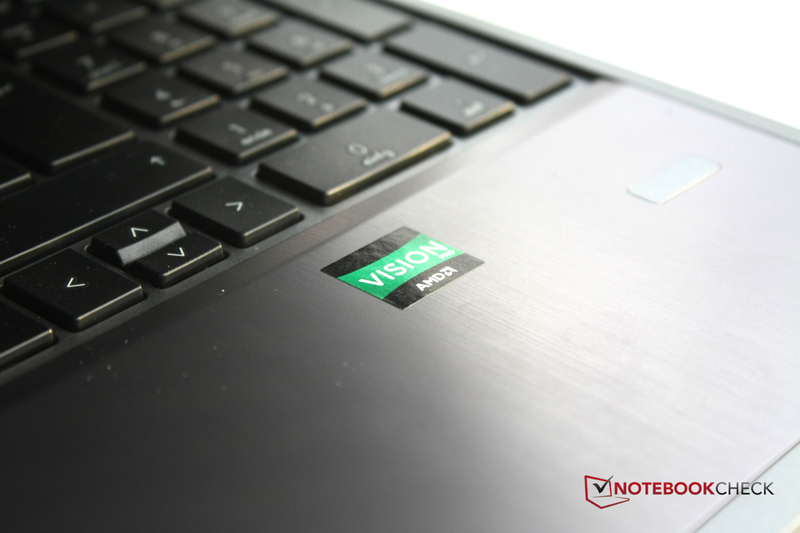 Current Celeron processors from Intel are more or less comparable to the AMD CPU - for example in the Acer Aspire V5-431, which we reviewed in October. So it's an entry-level CPU that isn't one of the most energy-efficient processors. 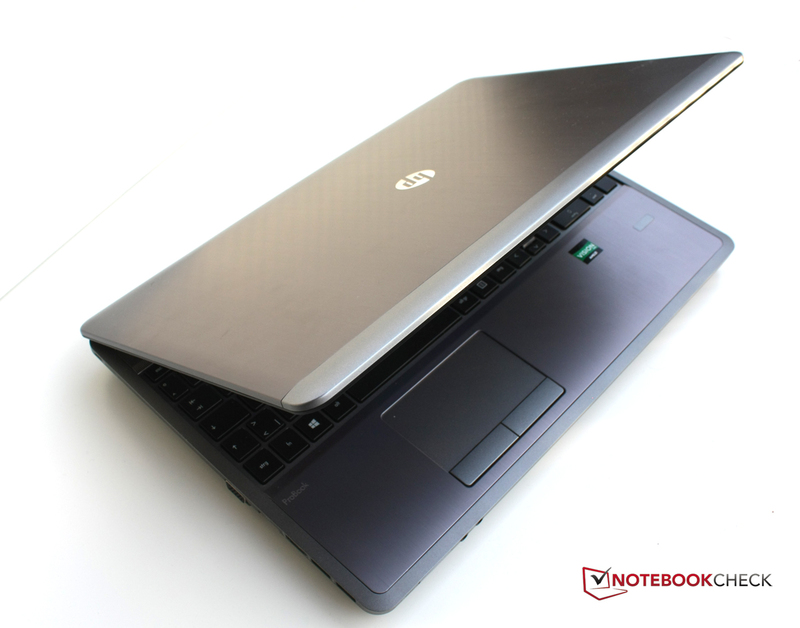 Those who are only using the notebook for standard tasks will be satisfied; those who need a higher level of performance can take a look at the ProBook 4545s' sister model, the HP ProBook 4540s, which is equipped with an Intel Core i5 processor and thus offers quite a bit more performance capacity. On the other hand, in the realm of system performance our HP ProBook 4545s does rather valiantly. 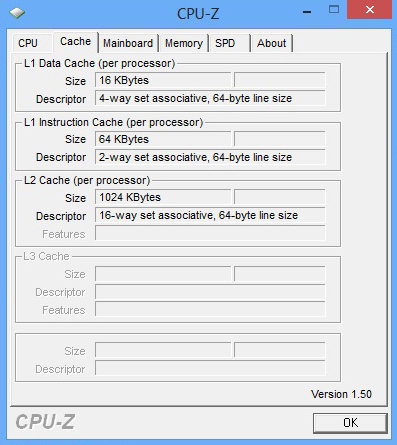 The graphics card is the weakest member of the Windows 8 performance index and leaves the device with only 4.7 points in the 2D calculations. 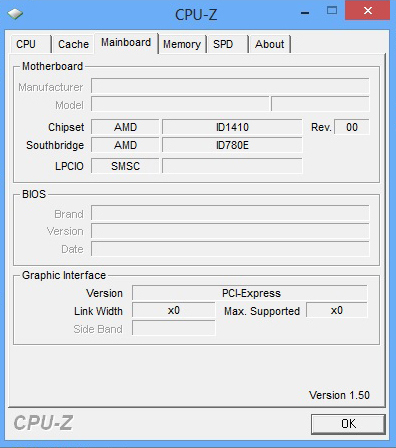 We also use PC Mark 7 to compare the system with similarly priced devices. Here the HP ProBook 4545s is positioned in the midfield: While notebooks with Intel Core i3 processors lie about 18% ahead, the Acer Aspire V5-431 with an Intel Celeron processor falls behind our review device a similar distance. The biggest difference lies between our HP ProBook 4545s and the Lenovo ThinkPad Edge E335, which is run with an AMD E2-1800-Processor: This configuration receives about 40% less points than our review device. The fact that you can easily manage all the standard office activities on the HP ProBook 4545s also has to do with the hard drive's solid performance, as we will soon see. The Hitachi hard drive does very well in the HD Tune benchmark, and we are especially content with the fact that the minimum transfer rate is higher than that of most other systems: According to HD Tune it should always be running at a rate of 50.5 MB/s or more. Even an ultrabook with an additional SSD cache, like the Asus UX32A, doesn't really take a lead in terms of the average transfer rate. The HP ProBook 4545s' access time is also pleasantly low, though the CPU use of 16% gives us pause: The CPU has a much smaller load on most other devices, namely around 1%. 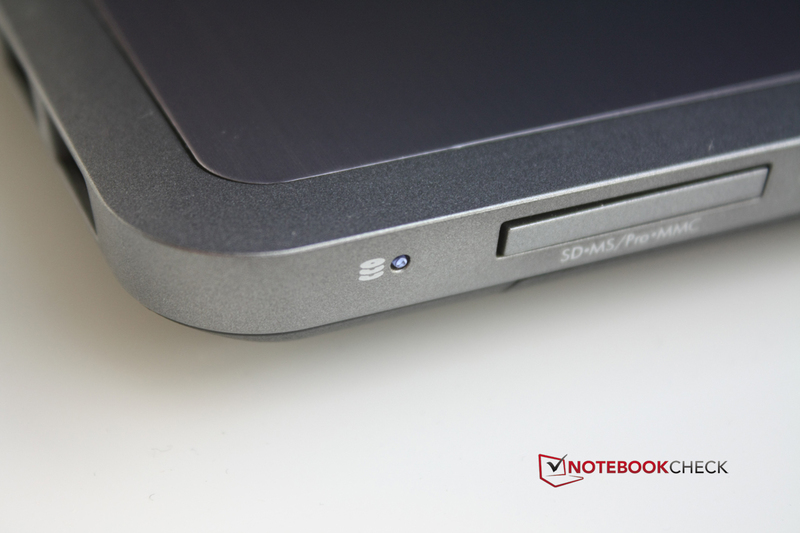 If you compare the measurements with similarly priced devices, the Lenovo IdeaPad U510 stands out with a great maximum transfer rate due to its additional 24 GB SSD cache - but its minimum transfer rate is significantly less than that of our review device. The Acer TravelMate P243, on the other hand, also holds a high minimum transfer rate of 43.8 MB/s, but in terms of its maximum transfer rate it falls far behind. If you want to access your data more quickly and are looking for an office device with an SSD, we recommend the Samsung 900X4B or the Dell Latitude E6430s - though both devices are much more expensive than the HP ProBook 4545s. The system's graphics card, a Radeon HD 7420G, does not possess its own storage, but instead utilizes the main memory. As a result, the main memory works more slowly, and the memory available to the system is minimized. The Radeon HD 7420G lies around the level of the Intel HD Graphics 4000, which is integrated into current Core i processors. It is therefore suited to very undemanding current or older video games. The 3D Mark 2006, for instance, shows solid results, which means that it would be entirely possible to play a 6-year-old game at the display's resolution. In comparison to other integrated Radeon graphics chips the Radeon HD 7420G lies in the midfield: The Radeon HD 7340 and 7310 are mostly found in netbooks and only manage about 40 - 70% of our review device's performance in 3D Mark 06. Things look better for the Radeon HD 7520G and the Radeon HD 7620G, which receive about 20 and 50% more points than the Radeon HD 7420G in our review device, respectively. Those who want to be able to play current games can't demand too much of the notebook's graphics capability: Anno 2070, which is already over a year old, only ran on the minimum settings and at a resolution of 1024x768 pixels. But for everyday office use, to process a reasonably sized image or to play a video every once in a while, the Radeon HD 7420G certainly has enough power. All of the sound emissions generated by the HP ProBook 4545s are in the green, from the fan (located on the left) to the DVD drive and the hard drive. 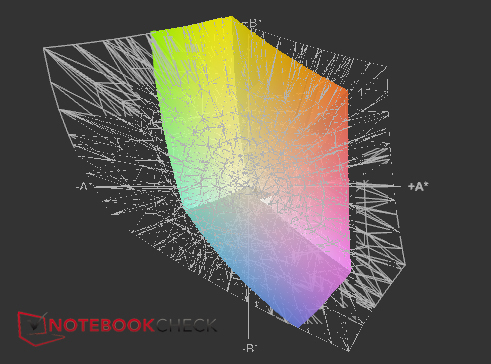 We measure 32.5 dB (A) when the notebook is only under a light load. Even under full load the sound hardly escalates at all: We measure a maximum of 34.6 dB (A), and it only becomes slightly louder when you put in a DVD. The DVD drive only emits a quiet whirring sound - at 35.9 dB (A) during playback, the sound is all in all very unobtrusive. So nothing stands in the way of a comfortable evening watching a DVD or enjoying some good music - especially because the speakers are truly great, as you will soon see. The notebook doesn't heat up too much either: The absolute maximum measurement under load is 35.7 degrees Celsius (96.3 degrees Fahrenheit) on the left underside, where the fan is located. That is a very low maximum temperature; in the middle area of the right side the temperature also stays quite low, even after several hours under full load. 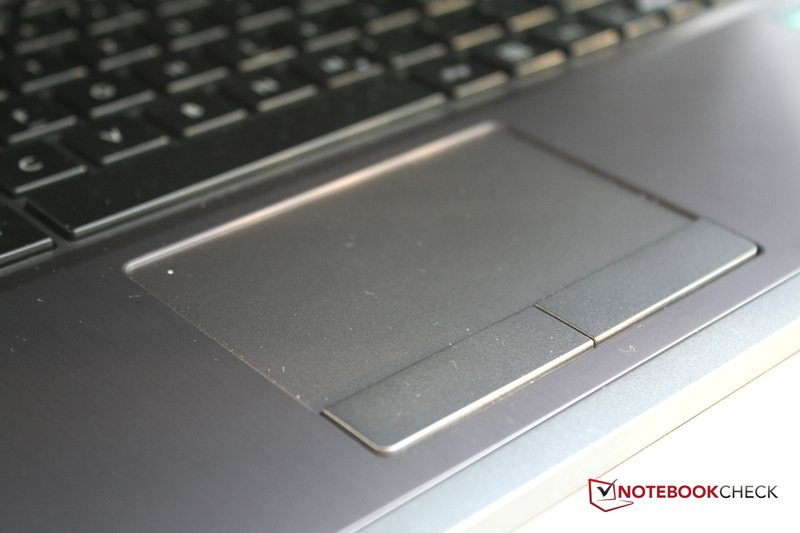 It is much the same when the notebook isn't under full load: You can just barely feel a warming to 30 degrees Celsius (86 degrees Fahrenheit) on the left area of the notebook's underside. The power supply, however, at 60.4 degrees Celsius (140.7 degrees Fahrenheit) while charging is noticeably hot; this surely has to do with the unit's slender shape. As promised, the speakers are truly a highlight for the HP ProBook 4545s, as HP explicitly advertises on their homepage. 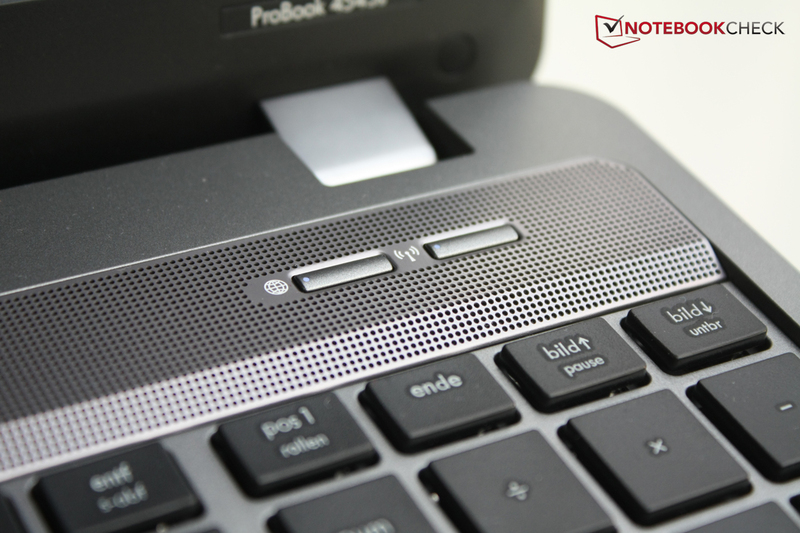 The speakers, hidden under an aluminum grating above the keyboard, produce a rounded sound that should by no means be taken for granted on an office notebook. The "SRS Premium Sound" label doesn't promise more than it delivers, even if a subwoofer is missing for the deeper tones, of course. Aside from that, you can turn up your favorite music to the max without having to worry that the speakers will be overloaded. The sound is clear and balanced - during films as well. Under full load the HP ProBook 4545s eats up to 42.9 Watts; during normal operation it generally consumes between 7.6 and 12 Watts. At those values the notebook lies in the usual area for devices with entry-level processors - though the Lenovo IdeaPad U510 shows that notebooks can do better, since at a similar level of performance the device consumes over 15 Watts less under full load. With 65 Watts the power supply is generously dimensioned, so there's no need to worry that the notebook's performance could be constrained by an underserving power supply. Complaints can't be made about the battery life either: If the laptop isn't under any kind of load the battery runs over eight hours. 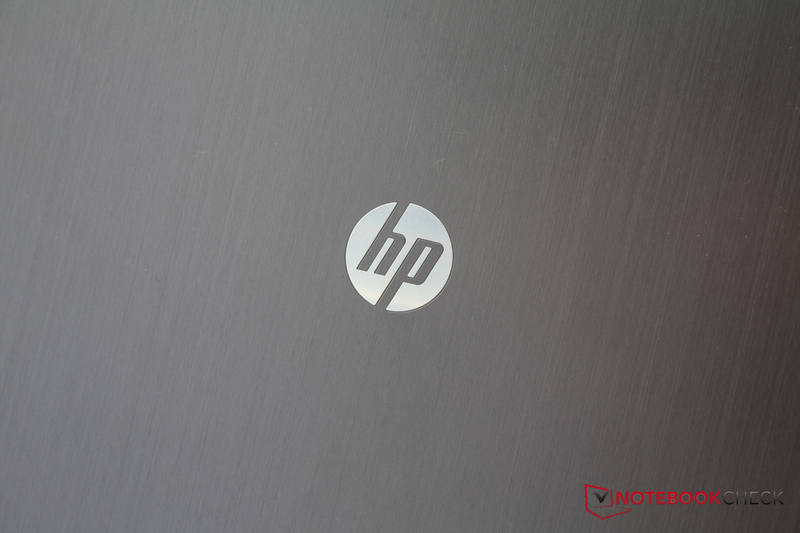 On their homepage HP even lists the notebook's maximum run time at seven hours, so our test device exceeds the manufacturer's measurement. Under full load the laptop still reaches over three hours. HP reaches these strong run times partly by greatly reducing the screen brightness in battery mode. You can enjoy a DVD for over four hours on the battery, and you can surf the Internet via WLAN for a little longer than that. 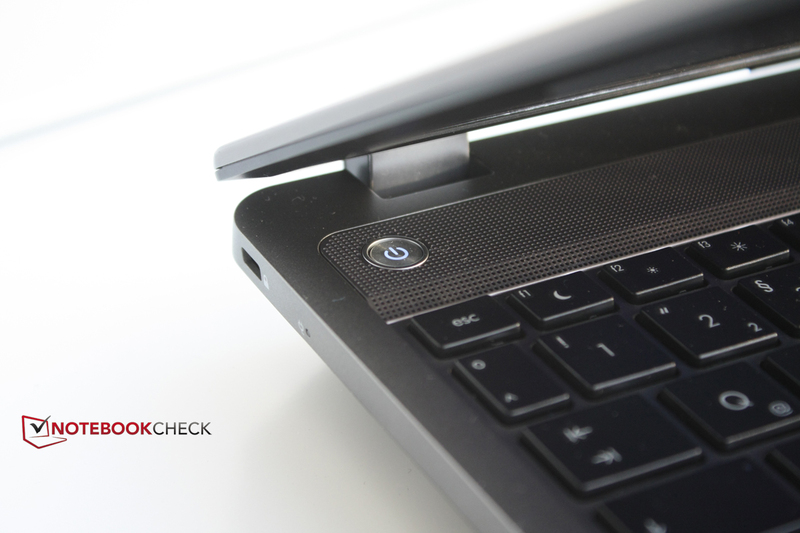 At that value in the WLAN test, the HP ProBook 4545s lies at a similar level as devices like the Lenovo ThinkPad Edge E535 or the Acer TravelMate P253. 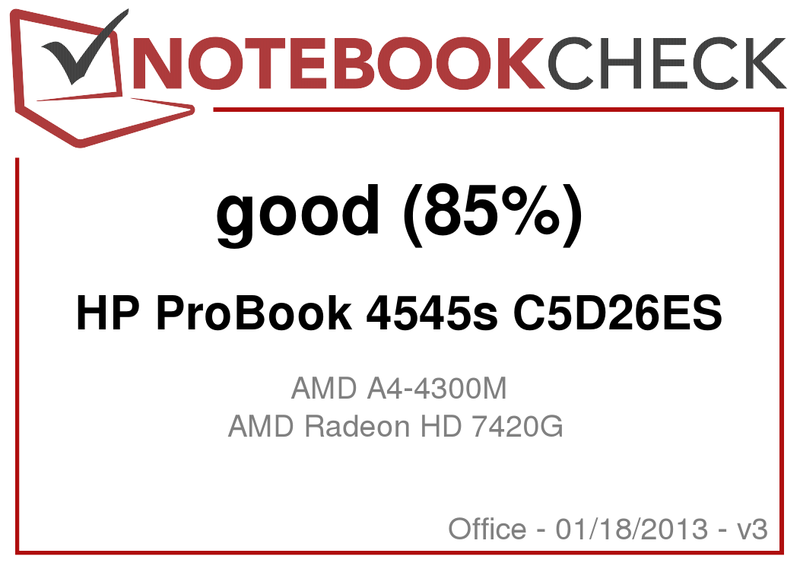 The HP ProBook 4545s reaches very good values here. 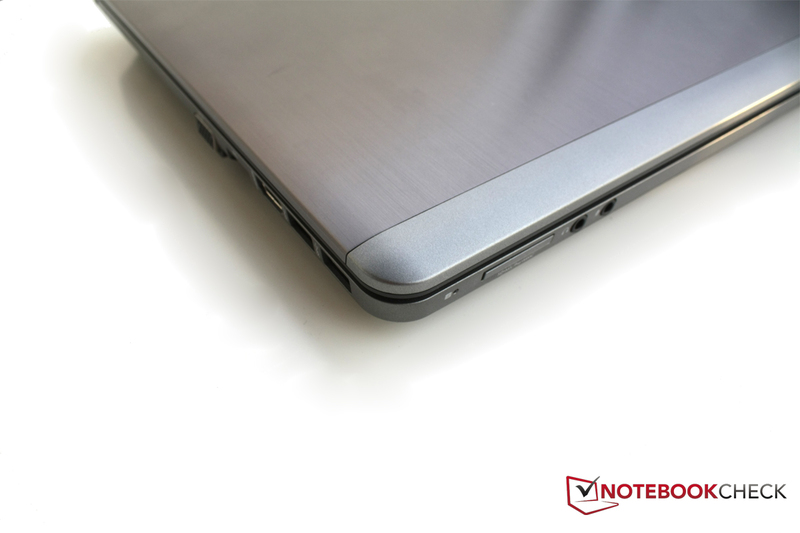 Our measurements lie a little beyond the level of the notebook's class, meaning that the device offers very good performance for its price. It is solid and elegant, fast enough for office use and light home entertainment, has great speakers, good input devices and all of that for a reasonable price. 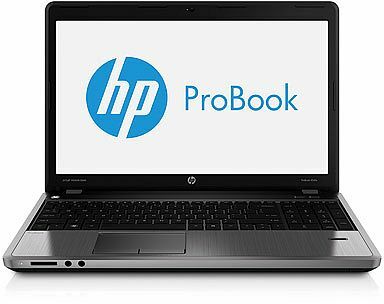 What can keep someone from buying the HP ProBook 4545s? On the one hand the fact that the connections were inconveniently placed, hindering the use of a mouse by its cable; On the other hand the at best average display, which with its matte surface would be fit for outdoor use, were it not built with such limited brightness. But still: For under 500 Euros (~$665) HP is making a truly solid offer with their ProBook 4545s; the device meets all the necessary criteria for everyday office tasks and is also good for after-hours entertainment. Those who need a little more power and are willing to give out an extra 100 Euros (~$133) can take a look at the HP ProBook 4540s variant with an Intel Core i3 - but for normal everyday office use the 4545s is a good choice. 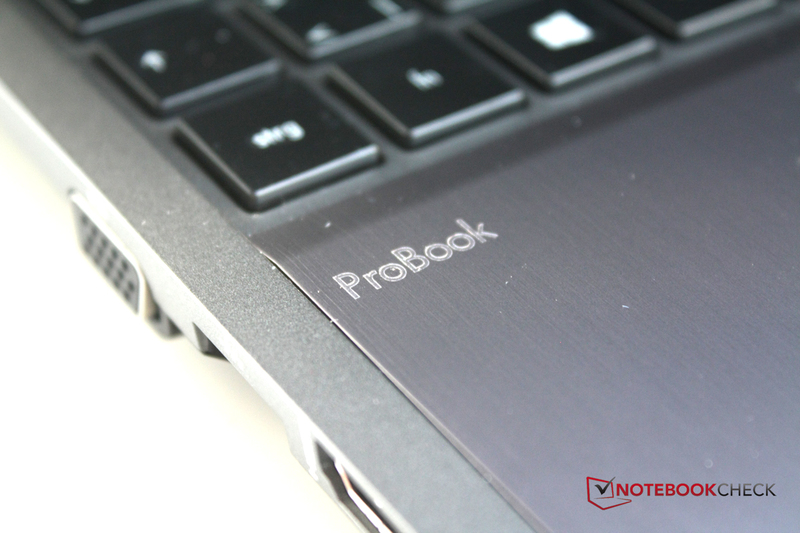 With the ProBook 4545s HP wants to deliver a solid office notebook. Speaking of the speakers: They're incredibly good for an office device. Big keys, a good typing experience and even a number block. You can choose to have a fingerprint sensor installed as a security feature, though our model doesn't have one. Face-recognition via webcam is integrated. Locking the notebook with a key is also possible, of course. 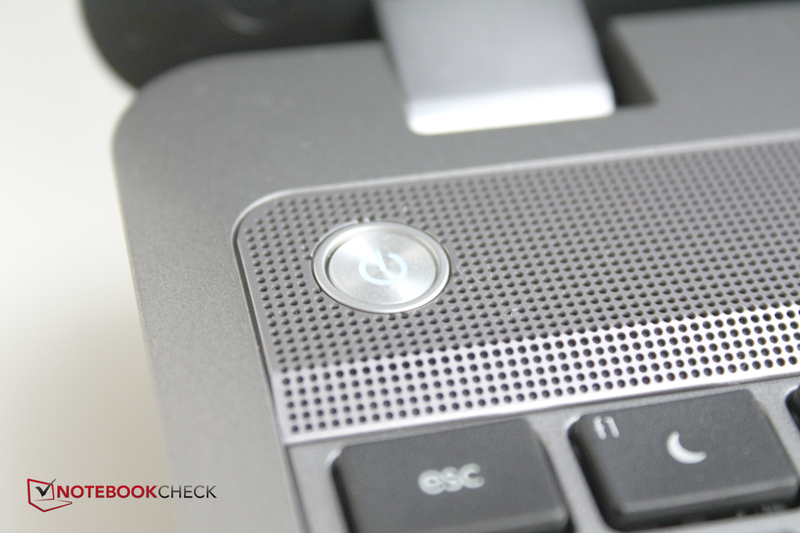 Two keys in the speaker grille make direct access to the browser and airplane mode possible. ...but in terms of brightness and angles of vision it's not so great. On the palm rest you'll also find the brushed metal. In terms of the device's inner workings HP counts on AMD. 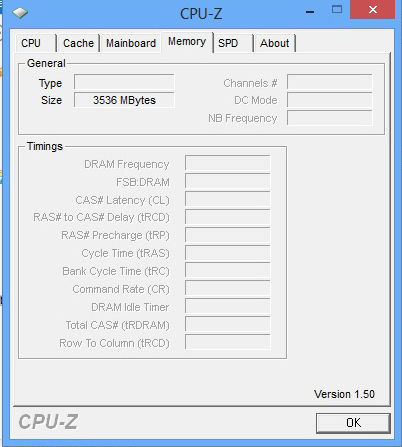 A status LED on the front side informs the user of the hard drive activity. ...which HP didn't load up with much interesting software. The solid manufacturing and the good performance of the hard drive and battery. More thoughtfully placed connections and a port for a docking station. That an office laptop can offer such great speakers.